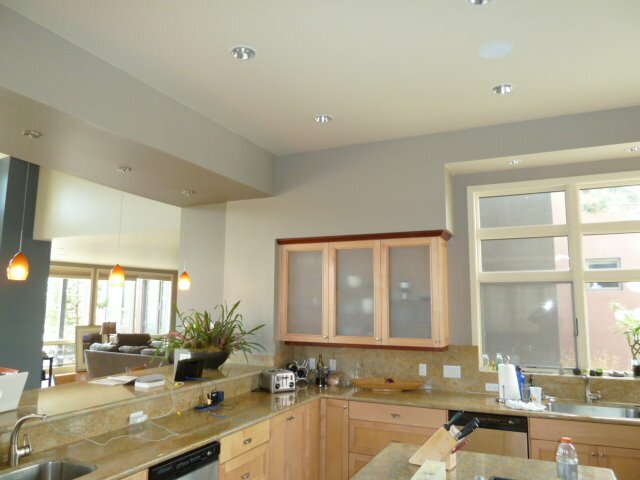 Wintertime Interior Painting Offers Big Improvements and Big Savings! Wait a second... It’s summertime, so why are we talking about winter? Trust us. We’re in no rush to see our beautiful Bend, OR summer go. We like soaking up the rays just as much as you do, although we typically do it from a ladder rather than a lawn chair. As professional painters, however, we also need to think at least one season ahead. And, help YOU to make the wisest, most cost-effective painting choices possible. So, with that said, here’s an insider tip for you. We’ll be honest with you: winter can be a tough season for painters, especially as we work hard to fill our schedule and keep our seriously great team brushing, rolling, and earning a good living. Because of this, we offer a winter rate after November, meaning that if you plan ahead and schedule your interior work during the chillier months, you could save up to 20%. This isn’t a coupon or a special, limited offer (we don’t wear plaid suits and tell you to call in the next 10 minutes), but it’s just the way it is. It pays to plan ahead! Going away for Thanksgiving? Cheapest week of the whole year! Chasing the sun for Christmas? The week between Christmas and New Years is literally our slowest of the entire year. Is It Safe To Paint Indoors During the Winter? It used to be that interior projects were planned during those times of year when you could throw the windows open and turn on a fan, just to keep the air moving and push those fumes out of the house. Thankfully, it’s not that way anymore. Winter painting is safe and unobtrusive, due in part to our awesome team and their stealthy painting abilities, but also because modern paint formulas are totally safe. We use products that contain little to no VOCs, the culprits behind those paint fumes of the olden days. No stink, no fumes, just seriously great style. Contact our team today to discuss your goals, timing, and schedule a free estimate.